BMW Financial Services is delighted to announce the continuation of the Lease/APR Incentive for the College Grad program! Recent College graduates those from various colleges and Universities, for example, Stony Brook University or NYU, are eligible for Lease/APR Incentive of $1,000 towards the lease or finance of any Certified, Pre-Owned BMW. This $1,000 incentive can be used in conjunction with that month’s available Lease/OC/Select/ Retail Sales Support or Regional programs. It is our hope that this program will build personal relationships and long-term business opportunities with a newer, younger generation of BMW enthusiasts. POI or employer letter with the Human Resources title, and income. Gross automotive payment to income ratio of less than 20%- Security deposit waived unless stipulated by credit. Customers must purchase or lease a qualifying CPO BMW from an authorized BMW dealer. If a co-signer is included on the credit application, in order to qualify for this incentive, the graduate still must meet all of the program criteria. BMW College Grad Incentive is non-transferable to other family members or friends outside the household. Customers must contract through BMW Financial Services using a Lease, Prepay Lease, OwnersChoice, Select, or Retail Finance Contract. $1,000 College Grad Incentive can be used with either Sales Support or Regional Rates. $1,000 College Grad Incentive can be used in conjunction with any applicable cash programs unless specifically excluded in the program details. An application must be submitted to the Credit Department as a College Grad Application in Infobahn to qualify. The College Grad Lease/APR Incentive form on the following must be included in the funding package to receive payment. Failure to submit proper documentation will result in non-payment. The Lease/APR Credit Payment will be made by BMW Financial Services at the time of contract approval, once the disclosures have been verified. The Lease/APR Incentive will be added to your dealer advance at the time of funding. Please contact BMW FS immediately if the Lease/APR Incentive is not included on your dealer advance. 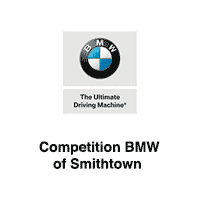 At Competition BMW of Smithtown, we are happy to assist college graduates in finding a BMW they will love. Call us at (888) 861-6280 for more info or Visit our dealership at 599 Middle Country Rd. Saint James, NY 11780!